Lumberyard is not the same engine it was yesterday. If you’ve been away for a while, now’s a great time to take another look. 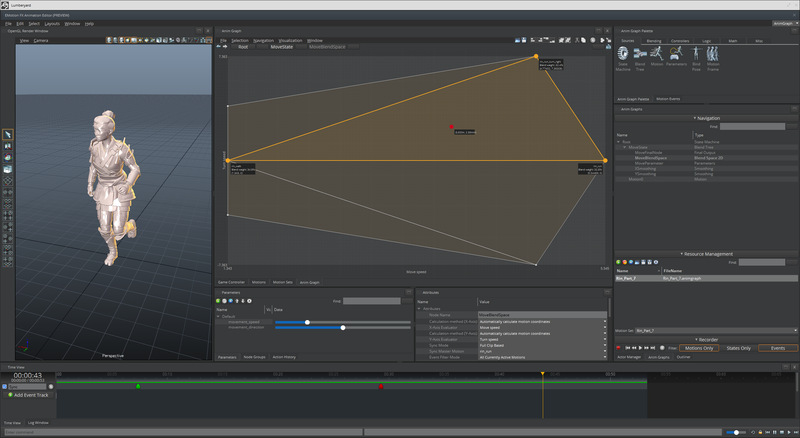 Check out our new visual scripting and animation tools. Download Lumberyard 1.11 here. There’s a lot more in this release. You can find full release notes here. You get three new Cloud Gems, including the ability to easily capture in-game surveys from your players, a text to speech gem that leverages the power of Amazon Polly, as well as a gem to build speech recognition and conversational gameplay experiences using Amazon Lex. A new Getting Started Guide that will get you up and running in Lumberyard quicker than before—you’ll also make a maze escape game that you can share with your friends. You can find the documentation here, but expect a new series of videos in the near future. We also enabled an experimental feature that implements a full blown Toon Shader visual look for your games. For a fun demonstration of how this can transform your game, just load up Starter Game and use the console command ‘r_ApplyToonShading = 1’. This can be refined in shadeLib.cfi. Plus dozens of usability enhancements thanks to your feedback, including: drag and drop support for reordering entities in the Outliner and Asset Browser, new visuals for slice entities, 1-click activation of entities on game start, and if you are creating your own components, you can now associate URLs with those components to help your team ramp up. As we mentioned last week, your feedback helps shape our roadmap, so please keep it coming. You can learn more about Lumberyard by watching our tutorials, visiting the community forums, and reading through our documentation.